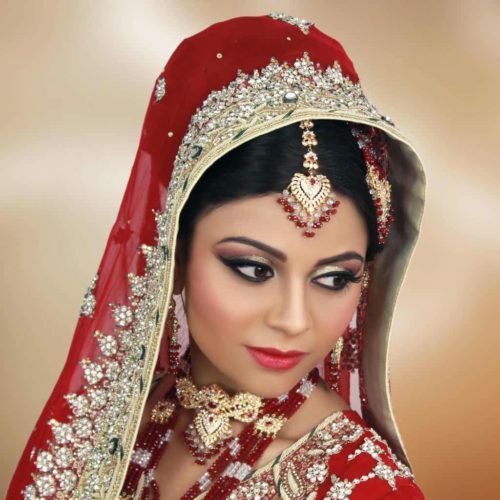 Naz Beauty exists to help you look your absolute best on your wedding day. We are professionals knowing the value of makeup in creating great images. 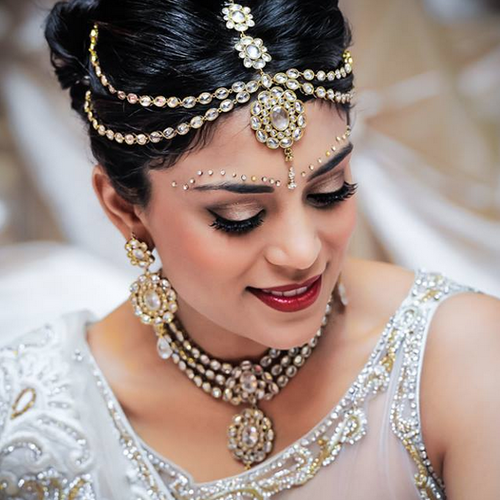 We have Makeup Artists specializing in beautiful and natural make-up, that allows your skin to breath with a radiant glow, and remains flawless throughout your special day. 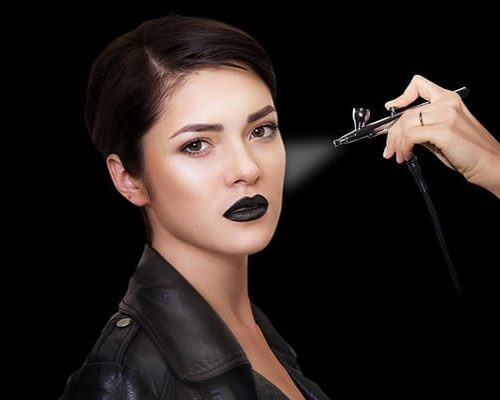 Custom Airbrush and traditional makeup available. Airbrush makeup recommended for brides. Exquisite flare for covering discoloration, blemishes, scars, and tattoos. I work in all genres, from weddings, editorial, film to celebrities. It is the hottest thing right now especially for Brides. Its waterproof, sweat-proof and wears for up to 8-12 hrs without touch up. The best part about Airbrush is it looks amazingly beautiful in pictures and video. It is also so natural looking in person your guests will compliment you on your skin all night long. I recommend this application to all my brides. Need a more budget friendly option? Traditional is the next best thing. We use all MAC foundations and a special application technique so foundation looks flawless and wears well through out the day. (1 or 2 touch ups with a blotting powder may be needed depending on your skin type. Our Hair Artist are some of the Top Bridal Hair Artists currently in the industry. Some of their work has been talked about in BRIDE 101 Magazine, The Knot Magazine and have been featured in NYC Fashion Week. With over 25yrs combined experience our Hair Artists pride themselves in the work they provide for our brides. Makeup Artists/Attendants are available for touch ups during wedding service, picture taking and reception. We will stay as long as you want us to. An hourly rate on top of the bride's fee is applicable. This also includes helping the bride with dress, veil, hair etc. False Lash Application: Go dramatic with strip lashes, natural with individual lashes or try Victoria's special double process technique. Lashes look stunningly full long and natural and will last you throughout the 1st week of your honeymoon. Consult with your makeup artist which option will best suit your needs and look. - Bridal VIP Services: Makeup Artist/Attendant for touch ups during wedding service, picture taking and reception. - Seamless Tape In Hair Extensions.